Edinburgh is the main city environment featured in Forza Horizon 4’s beautiful, historic Britain, and we had the opportunity to tour around and capture the Scottish capital in our hands-on session with the full version of Playground’s upcoming open-world racer at the McLaren Technology Centre in Woking, Surrey. The video, featuring commentary from Tom Matthews to walk you through our British road-trip, can be found above and viewed in native 4K resolution. Not only does this video see us touring Edinburgh city, however as we also drive across the coastal roads of Britain, put our foot down on the motorway, and pay a quick visit to the beach. Our trip concludes with a visit to the iconic Bamburgh Castle in Northumberland. 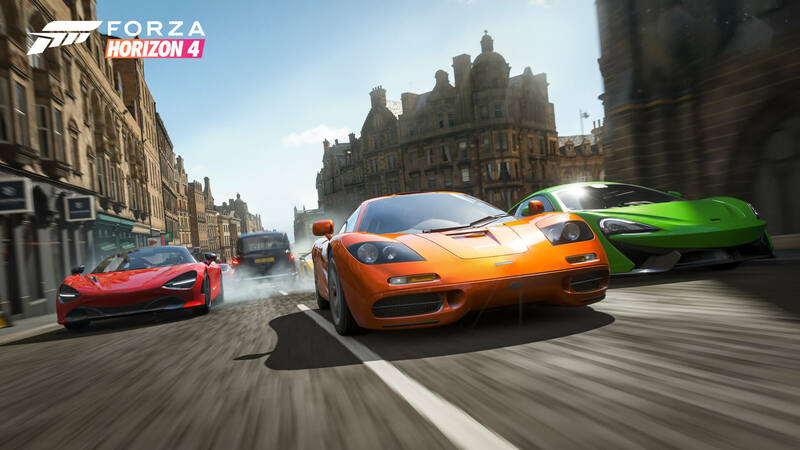 Edinburgh though is a spectacular location to visit in Forza Horizon 4, and as mentioned to us by Ralph Fulton in our interview, it’s also inspired by the classic track in PGR2 that sees players racing across the Scottish capital. There’s no denying the overall beauty and richness of the city, and it’s authentically brought to life in-game. Most of the buildings in Edinburgh match the beautiful, historic atmosphere and theme of Forza Horizon 4, as it’s quintessential British architecture from Victorian times. Whether you’re visiting the Scott Monument in the centre of the city or driving into the different recreational zones and parks, there’s no denying the sheer accuracy and overall positivity of Edinburgh in Forza Horizon 4. You’ve also got all the street lamps, telephone boxes, benches, designated road lines, terraced houses, wheelie bins and even traffic lights, which for the record always remain green in the game to prevent the action from slowing down. Edinburgh also has several different parks and fields located around the city, and one of them that we discovered has its own football pitch – complete with goals and all the relevant markings on the grass. There’s also one for American football beside it too. In fact, and perhaps to the surprise of some, there’s a lot of greenery and foliage located within the city, and you’ll find plenty of trees scattered road-side too. It makes Edinburgh so exciting to drive through. Whether you’re in modern supercars or classic grand tourers, you’re sure to feel right at home with the marvellous architecture, distinct road network and quintessential style of the historic Scottish capital. 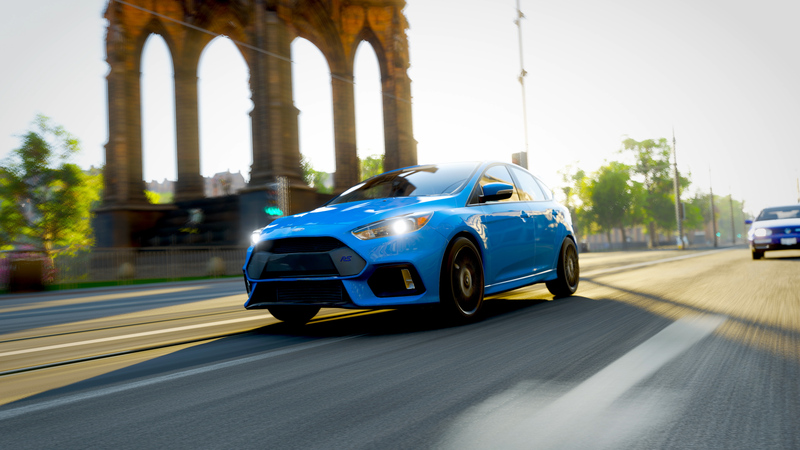 Overall, Edinburgh is the biggest and most vivid city yet in the Forza Horizon series. Be it the classic, historical architecture or the acquaint British country roads leading into the Scottish capital, there’s a sheer amount of colour and vividness from Edinburgh’s incarnation in Forza Horizon 4. It’s also home to Edinburgh Castle, the most expensive property in the game, as well as ‘World’s Fastest Supercars,’ a supercar rental business that you can acquire right in the centre of the city. 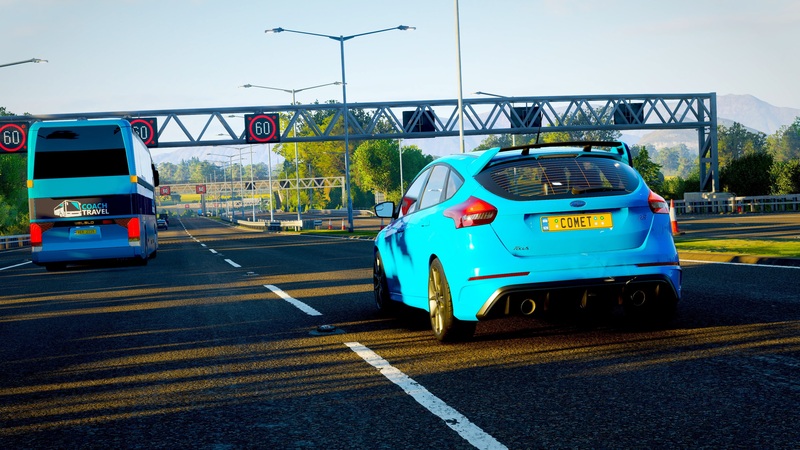 There’s also a host of official festival races, street races, and Horizon Stories that will take you through the Scottish capital, so you can experience it at high-speed in the fastest supercars. Check out Edinburgh in all its lavishing glory for yourself in the above video, featuring our entire map tour of beautiful, historic Britain. Keep in mind we don’t visit every location on the map, as this one focuses on the city centre, the motorway, coastal roads, and of course, that beautiful, almost never-ending beach strip on the east side of the map. For more on our discoveries within lovely Britain, don’t miss our in-depth Forza Horizon 4 preview and check out the first 20 minutes of the game.